Today is #AskAnArchivistDay! 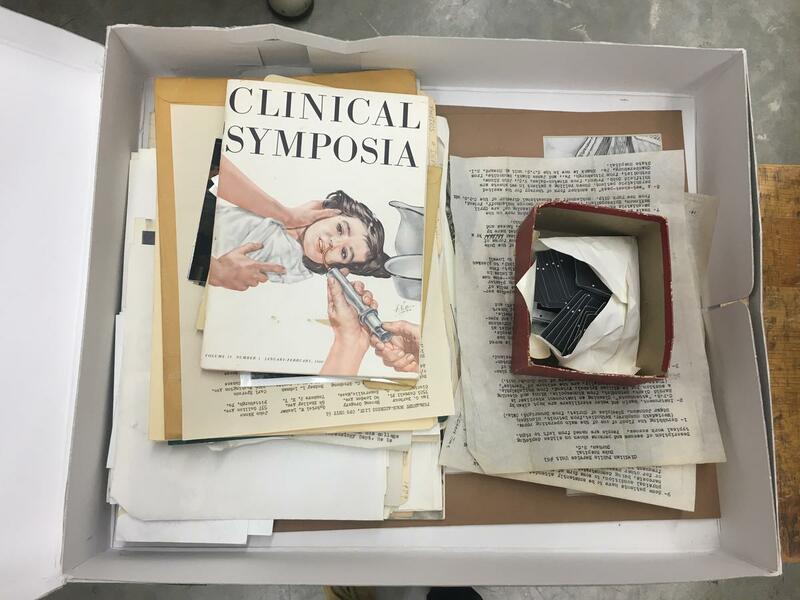 While the Duke University Medical Center Archives (DUMCA) doesn’t have a Twitter account, we do have a blog and two very curious archivists-in-training (interns). For this two part blog series, we asked each of our interns for a question. McKenzie Long: This is super general, but when I first started in archives I wanted to know how we decide what to keep when we're looking at a new accession. Like how do we decide what's historically relevant/in the scope of the archives enough for us to add it to the archives? 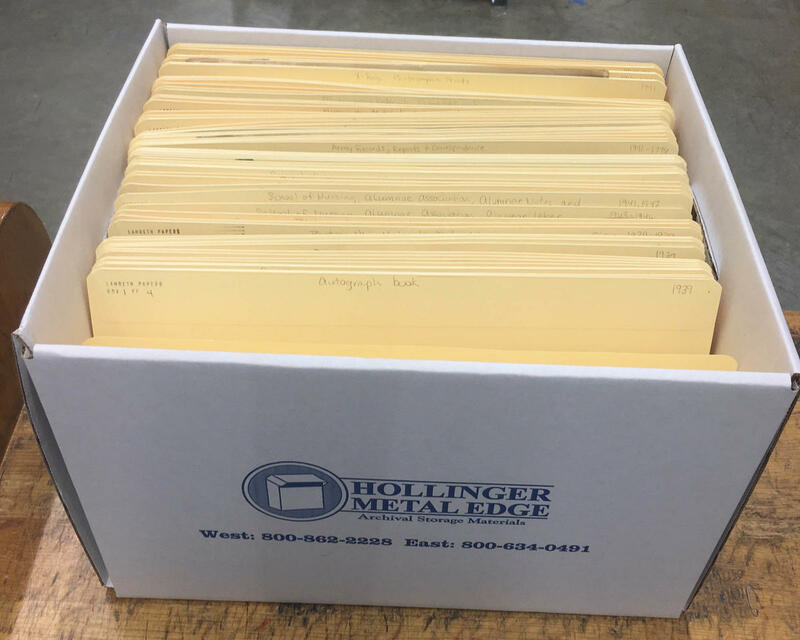 There are a lot of factors that are part of deciding whether items should be accepted or not at an archives, and, while most of this decision making is done before the materials are accessioned (the physical and legal transfer of materials to an archives), archives can decide to deaccession materials at any time. The one thing that remains constant is that the bulk of these decisions are specific to the collecting repository. Every archives should have a collection development policy to serve as a guide about the types of materials that particular repository collects. The Society of American Archivists (SAA) writes that collection development policies “establishes policies and procedures used to select materials that the repository will acquire, typically identifying the scope of creators, subjects, formats, and other characteristics that influence the selection process.” The DUMCA’s collection development policy states: “Medical Center Archives actively collects the official records of DUMC and DUHS departments and divisions, including a variety of materials that provide evidence of the business, interests, and activities through the years.” Simply put, the DUMCA collects materials created by all departments and divisions within Duke Uninversity Medical Center and Duke University Heath System. But the DUMCA doesn’t accept everything DUMC and DUHS creates, as there is another tool archivists use when deciding what materials to add to their archival holdings. This tool is called appraisal. SAA describes appraisal as “the process of identifying materials offered to an archives that have sufficient value to be accessioned.” Appraisal can happen before the materials are donated or after the materials are accessioned. When appraising materials, archivists first and foremost rely on their collection development policy to guide their decision on whether or not to accept the materials, but archivists also must take other aspects of the materials into consideration before making a final decision. The most basic of these is what is the condition of the materials? Mold is an extreme example, but if the materials are covered in mold, they cannot be brought into the archives without being segregated and cleaned, or the archives risks contaminating the rest of their collections. If the moldy materials are cleanable, does the archives have the resources for cleaning the mold off the materials to make them safe to house in the archives and also safe for handling? Along with condition and the associated costs of preservation and conservation, the archivist must also consider the materials’ provenance, content, authenticity, reliability, and their intrinsic value. At the DUMCA, the bulk of our collection materials come from DUMC and DUHS, so we are able to easily verify the materials’ provenance, content, authenticity, reliability, and intrinsic value. Archivists at repositories with a broader collecting scope might have to spend more time on the appraisal of materials for their holdings. The DUMCA has a clear collection development policy, which gives us the power to collect materials that document the day to day operations of DUMC and DUHS and also the power to say no to materials that do not fit within our collection development policy. Unfortunately, most archives have limited resources and cannot collect everything, but with a strong collection development policy, archives can work with donors to ensure the materials they collect fit within the scope of their archives, giving them the necessary resources to preserve, arrange, describe, and make these materials accessible to future researchers.